Ah yes. We get that too. 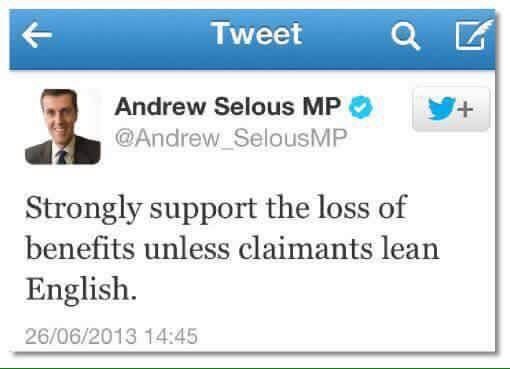 Obviously if you can speak another language, that obviates any need to eat. Right. Sigh. I know just what you mean and agree entirely – I don’t know whether to laugh or cry every time I see such things. Senator compares another Senator to prostitutes – then apologises to prostitutes.